Thank You, OCAP Conference Partners! We're thankful for all of OCAP's partners who were able to attend our annual conference; 10.11.12  Counting on a Bright Future. Conference presentations and the conference video are available at www.ocap.org (external class). Can't wait to see you again next year! In honor of Veteran's Day on Nov. 11 and every day, OCAP thanks our military for their service to our country. Did you know there are many educational benefits designed specifically for eligible service members and their families? Below is a helpful summary of these programs, including additional resources for those who work with service members and their dependents. Deferment allows the borrower to temporarily postpone payments on loans in both the Federal Family Education Loan (FFEL) and William D. Ford Direct Loan (DL) programs. Deferments are entitlements that are granted in specific situations. To start the process, the borrower or his representative must contact his lenders/servicers. Forgiveness releases the borrower or any co-maker from all or a portion of her DL obligation as authorized by the Higher Education Act. Under the Public Service Loan Forgiveness (PSLF) program, borrowers may be relieved of any remaining repayment obligation after making 10 years of payments while employed in a qualifying public service position. To start the process, the DL borrower must contact her DL servicer; a FFEL borrower must first consolidate his FFEL program loans under the DL program to qualify for PSLF (external class). Forbearance is a period of time during which the borrower is permitted to temporarily stop making payments or reduce the amount of each payment. To start the process, the borrower or her representative must contact her lenders/servicers. Mandatory Administrative Forbearance is for any borrower during any period authorized by the Department of Education (ED), specifically during the 30 days following a period of local or national emergency, military mobilization or disaster. Active Military State Duty Forbearance is a mandatory forbearance for any period during which the borrower serves on active military state duty as a member of the National Guard (including a member in retired status) when the Governor activates the National Guard for a period of more than 30 consecutive days and the activities are paid with state or federal funds. This option is also available for a borrower who qualifies for an active-duty student deferment, but doesn’t qualify for a Military Service Deferment while serving in active military state duty. Such a borrower may also qualify for Post-Active Duty Student Deferment for up to 13 months following completion of the active military state duty, if she was enrolled in postsecondary education within six months prior to activation. Discharge is the release of a borrower from all or a portion of his loan obligation. Total and permanent disability discharge is applicable for any borrower who has been determined by the Secretary of Veteran Affairs (VA) to be either unemployable due to a service-connected condition(s) or totally disabled based on an individual unemployability determination and who provides documentation to ED. To start the process, the borrower or his representative must contact his lenders/servicers. SCRA applies to Title IV loans made prior to the eligible service member entering active duty status; it caps the maximum interest rate at six percent. To start the process, the borrower or her representative must submit a written request and a copy of her military orders to her lenders/servicers. Forbearance - the borrower's lender may grant forbearance for up to one year without documentation. Cessation of Collection on Defaulted Loans - schools and guaranty agencies may cease collection activities on defaulted loans during the time a borrower is affected by service as indicated above. Continued Progress on Loans in Rehabilitation Program - loan holders should not treat any missed payments during the borrower's time of service as indicated above as an interruption in the consecutive, monthly, on-time payment requirement. Borrowers who are serving on active duty during a war or other military operation or national emergency or are performing qualifying National Guard duty during a war or military operation or national emergency are eligible for military deferment. For qualified borrowers, the time that an affected individual spends serving on active duty is excluded from the three-year limit for military deferments; additionally, loan holders may process the initial deferment period for one year without documentation. To start the process, the borrower or borrower's representative must contact his lenders/servicers. Re-admission requires institutions to re-admit, without re-application, any student who was called to serve upon their return from military service. Such requirements don't apply if the student's service is terminated due to dishonorable or bad conduct discharge and other specific situations. An institution may not delay or attempt to avoid re-admission of a student by demanding documentation that does't exist or isn't readily available at the time of re-admission. Tuition Rates - effective July 1, 2009, tuition at a state school may not exceed in-state rates for a service member, spouse or dependent(s) if the service member is on active duty for at least 30 days and the service member's home or duty station is in that state. Estimated Financial Assistance Calculator - effective July 1, 2009, veterans' educational benefits, national service education awards, or post-service benefits received under Title I of the National and Community Service Act of 1990 will not be included in the calculation of the student's Estimated Financial Assistance (EFA) when determining Title IV eligibility. Title IV Eligibility Calculation - effective July 1, 2009, veterans' education benefits will not be counted as available EFA when determining Title IV eligibility. The cost of attendance for students living in military housing or receiving a housing allowance may not include an allowance for room, but may include an allowance for board. Host a College Countdown Event at your School or Campus! February is typically the month most students begin working on the FAFSA, and OCAP is coordinating a series of college planning events throughout the month. We're inviting high schools and college campuses to partner with UCanGo2 to host a College Countdown event and invite students and families from your school and surrounding high schools and communities to participate in workshops, meetings and planning sessions dedicated to preparing for education after high school. Similar to the national College Goal Sunday program, UCanGo2 College Countdown events are planned by a host school or campus that will advertise, promote, schedule and conduct informational opportunities for students and parents to receive planning materials, ask questions, and learn firsthand about the necessary steps to take, such as FAFSA completion. To simplify the event planning process, we encourage schools and campuses to use our materials at UCanGo2.org (external class) which include teaching tools, helpful tips and ideas for planning a successful event (external class), and announcement templates you can customize to promote your events (external class). Sponsorship funds of up to $1,500 may be available for participating schools and campuses by following a few easy steps (external class). If you'd like more information about hosting a College Countdown event, contact Theresa Battles at 405.234.4315 or tbattles@ocap.org. Financial aid officers, OCAP offers a wide selection of free tools and resources that can help facilitate your default prevention efforts, including a cohort analysis service and the Default Prevention School Tool (DPST). According to the U.S. Department of Education (ED), the first step in default management planning is to find out why student borrowers are defaulting and determine any relevant patterns. OCAP's cohort analysis service uses cohort rate data supplied by ED to identify the characteristics and trends of a school's borrowers who are categorized as "cohort default rate borrowers." This enables schools to recognize default trends and identify groups of borrowers who are more likely to default, allowing campus staff to focus attention where it's most needed. OCAP's DPST is an easy-to-use Microsoft Access database with the most current borrower cohort information, which provides schools an easy way to track and manage cohort default rate performance. The DPST turns OCAP's 'Delinquent Borrower by School Report' and ED's servicer (TIVAS) data into an interactive application, and is designed to provide special support, allowing schools to focus on students who are at-risk of becoming delinquent or defaulting on their student loans. With the DPST, campus professionals can access reports, pre-formatted letters and a comprehensive database search feature. Signature features of the DPST are listed below. It helps pinpoint at-risk populations or cohort accounts. It imports TIVAS' delinquent accounts report (DELQ01) from NSLDS. It creates and sends customizable batch letters and emails to OCAP and ED's servicer loans for at-risk populations or cohort accounts. It can be used to send instructional rehabilitation letters to recently defaulted borrowers. It provides customizable reports with combined data from OCAP and ED that can be printed or exported to spreadsheets for further analysis. It sends demographic updates to OCAP by email at the click of a mouse. If you're interested in reducing your cohort default rate, enhancing your direct contact with at-risk borrowers, and minimizing staffing costs and time spent working delinquent accounts, these two products can help. OCAP's Default Prevention team is ready and able to help you reach your default prevention goals. To request a cohort analysis or DPST demonstration, contact Jaime Shelton, OCAP's Policy and Compliance Specialist, at 405.234.4281, 800.247.0420 (toll free) or jshelton@ocap.org. Do You Know Alisa Bell? 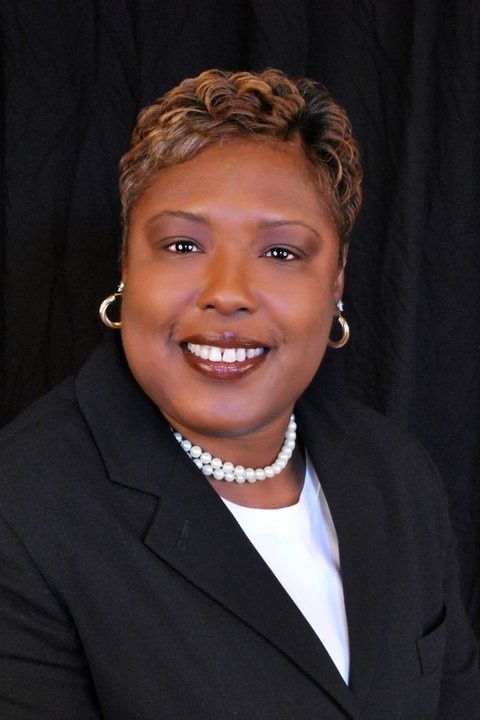 Meet Alisa Bell, founder of JAMES, Inc.
How did JAMES, Inc. come to be? In June of 1988, I moved to Tahlequah with my children to start my freshman year at NSU. After my first couple of semesters, and after I began to believe that I belonged on campus, I decided I needed to share my experience with other teen moms. No one was sharing the possibility of college with teen mothers. Jane Hill, a teacher with the Margaret Hudson Program (MHP), said that I could come back to the school and talk about my college experience with students. From that moment on I started seeking other opportunities to share my experience with anyone who would listen. My desire to start a program originally came from my enjoyment in sharing my life experiences. After graduating, I started working, got married, had a third child, experienced the death of my 14-year-old son, and then started working on a master's degree. While working on my master's, I took a grant writing class that required we write an actual grant proposal. I used the opportunity to develop a proposal for my teen mothers program, though, I had called what I was doing a "program" for about 10 years. I named the program JAMES (Just About Mothers Excelling in School) after my son as my way of honoring his memory. In 2006, we formed a board of directors and became incorporated. What continues to drive JAMES, Inc., and why are you so passionate about it? JAMES is driven by a small group of women who are always there to support the program's goals, mission, and values. I am passionate about the program because I believe education is the primary way of breaking the cycle of teen pregnancy for future generations. What services does JAMES, Inc. provide to teenage mothers? We provide mentorship and encouragement and show by example that teen moms can overcome negative stereotypes and change the course of their lives. We also provide scholarships. In many instances, the decision to go to college means the family is no longer eligible for other benefits. Our scholarships may be the only additional educational funding the applicant receives. Applications can be found at www.jamesinc.org (external class). What are some challenges and barriers teenage moms face when considering college? The primary challenges teen moms face include time management, day care, housing, transportation, money management, finding new friends and adjusting to a new environment. Teen moms are not traditional college students; their needs, and the needs of their families, are completely different. What are some things about JAMES, Inc. that you wish everyone knew? We are always looking for others to get involved. There are teen moms who've become very successful women, have raised wonderful families, and are making contributions to our communities. We want to help others achieve the same success. Those who are interested, or would like to get involved, can learn more at www.jamesinc.org (external class). With the fall semester winding down, it's time for students to think about applying for financial aid for college. OCAP provides students, parents and counselors great tools to help them navigate the Free Application for Federal Student Aid (FAFSA). Remember, the FAFSA must be completed as soon as possible after January 1 of each year the student needs financial aid. The new 2013-2014 form will be available January 1 at FAFSA.gov (external class) . Check out these tools from OCAP's college access initiative, UCanGo2, to support your FAFSA education efforts. FAFSA Facts provides answers to frequently asked questions posed by students and parents as they complete the FAFSA form. The Are You Looking For Money? booklet offers information about scholarships, grants, work-study and low-cost federal student loans. It also outlines FAFSA requirements and other federal and state aid programs for students. FAFSA Fundamentals covers the basics of the financial aid application process. This PowerPoint presentation for counselors offers tips for completing the FAFSA and lets students know what they can expect after submitting the application. The 2012-2013 presentation is currently available at UCanGo2.org/Resources (external class). The new 2013-2014 edition of FAFSA Fundamentals will be featured on the UCanGo2 website in early January 2013. Counselors and financial aid administrators can order our FAFSA posters to remind students about the importance of completing the FAFSA in a timely manner. OCAP is pleased to provide these FAFSA tools to you free of charge! FAFSA Facts, Are You Looking for Money? and our FAFSA posters can be ordered through the 'Request Publications' button at UCanGo2.org/Resources (external class). We hope you find these materials beneficial to the students and parents you serve. Feel free to use them to deliver your own financial aid seminar with families preparing for college, or engage us to assist you in presenting FAFSA Fundamentals to your audience. Contact the OCAP Outreach Team today at 405.234.4239, 866.443.7420 (toll free) or UCanGo2@ocap.org. A Default Prevention Plan (DPP) is an important tool for institutions working to lower their cohort default rate (CDR). While many institutions would benefit from developing a written plan, any institution whose CDR is above 30 percent is required to develop and follow a DPP. These schools must also submit a copy of their plan to the Department of Education and review their plan at least once each year. Typical DPPs address issues such as loan counseling, financial literacy, enrollment reporting, and both early and late stage delinquency assistance strategies. A good plan should also include an analysis of the institution's cohort borrowers. It's vital for an institution to know which students are at high risk of default in order to address those borrowers' needs. OCAP offers on-site consulting services at no charge to Oklahoma schools who are interested in developing a comprehensive DPP. We can perform a cohort analysis to help you determine which of your students are defaulting on their loans, and we have print and electronic resources available to support your efforts to help students make smart borrowing decisions and successfully manage repayment. If you're interested in exploring how OCAP's products and services can help your campus reach its default prevention goals, contact Scott DeBoard at 405.234.4233 or sdeboard@ocap.org. The latest version of the Integrated Common Manual is available on the Common Manual website. (external class) As always, if you have questions about the manual, contact our Compliance department at 405.234.4432, 800.247.0420 (toll free) or pct@ocap.org. Tuition isn't the only important cost associated with going to college; the cost of textbooks can add up quickly. The Textbooks For a Year Scholarship Program, offered annually by MyBookBuyer.com, awards a grand prize of $1,250 to one college student and a runner-up prize of $250 to cover college textbooks. Applicants must be U.S. citizens age 18 and older, and each applicant must submit a 750-1,250 word essay. The deadline for applications is Dec. 15. More information about the essay and applicant requirements can be found at http://www.mybookbuyer.com/textbooks-for-a-year-scholarship.htm (external class). Halloween has come and gone, but for some, the leftover candy remains. If you have more sweets than you can handle, check out these creative ways to use the excess pieces. Bake it. Chop up candy bars and bake them into cookies, brownies or cakes for an extra-decadent treat. If you have colorful candies on hand, use them as cake decorations. Craft it. Use colorful candy to decorate a gingerbread house or let kids break out the construction paper and glue to create a colorful masterpiece. Stash it. Freeze candy to use later. Add them to holiday gifts or chop up the frozen goodies and use them as ice cream toppings. Donate it. Consider taking your candy stash to a children's hospital or homeless shelter. A little candy can spread a lot of cheer. Gift it. Fill cute coffee mugs or small baskets to create treats for your coworkers or neighbors. Trade it. In an effort to prevent candy-induced cavities, many dentists offer candy buyback programs following Halloween. The candy is often put in care packages and sent to deployed troops overseas. Share it. If all else fails, place a candy bowl in a common area at work. Eventually, it will be eaten so none is wasted. The end of the year is fast approaching, and a significant number of college students will begin repaying their student loans. With rising student loan default rates and the introduction of the three-year cohort default rate, it's more important than ever to ensure exit counseling arms student loan borrowers with the knowledge and resources that will aid them in successfully managing their student loan obligations. Successful student loan repayment begins with knowing how much is owed and who is servicing the loan(s). The U.S. Department of Education recently debuted the new "MyData Button" on the National Student Loan Data System (NSLDS) Student Access website http://www.nslds.ed.gov/nslds_SA/ (external class). Students can use this tool throughout their college careers and into repayment of their loans. The My Data Button allows students to receive loan data in a simple text file, rather than limiting the data view to a webpage or PDF file. The text file includes federal loan and grant amounts and disbursement amounts, loan servicer information, and enrollment and overpayment information. Students can obtain a PIN for NSLDS access at http://www.pin.ed.gov/PINWebApp/pinindex.jsp (external class). Students with questions about the MyData Button may contact the Federal Student Aid Information Center at 800/4-FED-AID (800/433-3243), 800/730-8913 (TDD/TTY) or FederalStudentAidCustomerService@ed.gov. OCAP provides valuable information regarding student loan repayment, including a Loan Calculator (external class) that allows students to estimate monthly payment amounts based on a standard repayment schedule. This information can help students create budgets and prioritize spending. Based on their standard monthly payment estimate, students may want to visit the OCAP website (external class) to learn more about different repayment options (external class), consolidation (external class), deferment (external class) or forbearance (external class). Defaulting on student loans leads to serious consequences, but successful repayment helps borrowers build a solid credit record and create good financial management habits. You can put students on the path to success by educating them about their many debt management options. We can help! an operating division of the Oklahoma State Regents for Higher Education.